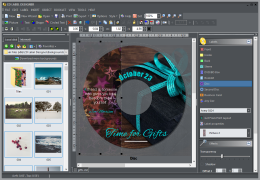 Minor version update 7.2 of CD Label Designer is ready for download. Upgrade to this version is FREE for all v7.x customers. Customers of any of previous versions are entitled for 50% discount. Please use the link from within an application to see more information. This entry was posted in Uncategorized on August 24, 2018 by vradmilovic. Copyright © 2001- 2019 Dataland Software. All rights reserved.